Santa Claus is looking for help training Tensor, his robot elf. According to Google, the jolly one today released an update to the Santa Tracker website that lets you draw pictures to help train an AI (or robot elf, if you prefer) to better understand image recognition. Santa Tracker features a suite of activities for young and old fans of St. Nick, and – with the new “Speed Sketch” game – something for machine learning-lovers to enjoy as well. 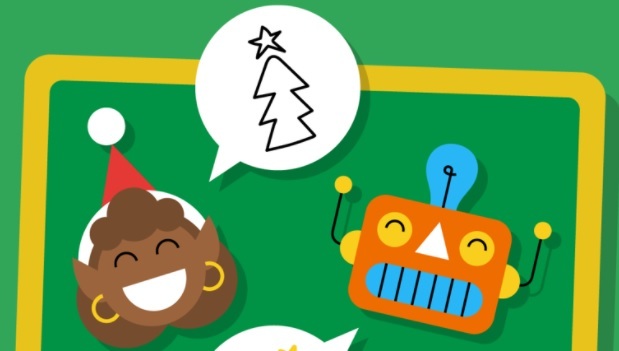 Everyday the site’s advent calendar reveals a new game or activity; and today’s is a great way to introduce kids (of all ages) to artificial intelligence. The goal of “Speed Sketch” is to draw holiday-themed items, like a stocking or a sleigh, within a 30-second time-limit. While you sketch, a robot tries to guess what you’re drawing. It’s actually easier than it sounds: AI, it turns out, is quite good at guessing these kinds of things. After having spent far too long playing with it while I was supposed to be working (or as I like to call it: researching), I found myself quite impressed with the accuracy. Some of the ideas are initially hard to convey in a single color (black). There are more fun games (with a new one revealed everyday until Christmas) on Google’s Santa Tracker site. The same games, plus an exclusive, are also available on the Android App. We reached out to Santa for comment and will update as necessary.